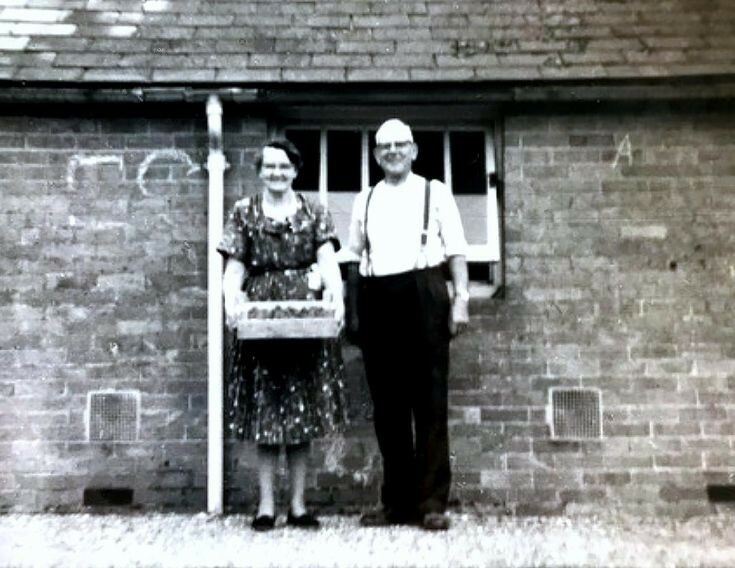 Here is a photograph of my grandparents, George Cook and Alice Cook (née Lee), at Tilgate gardens, standing in front of one of the outbuildings close to their cottage. The cottage was next to the walled garden which is still there. I asked my Auntie Kath (Cook) "How come George lived so long?" She said it was because Alice did all the work!